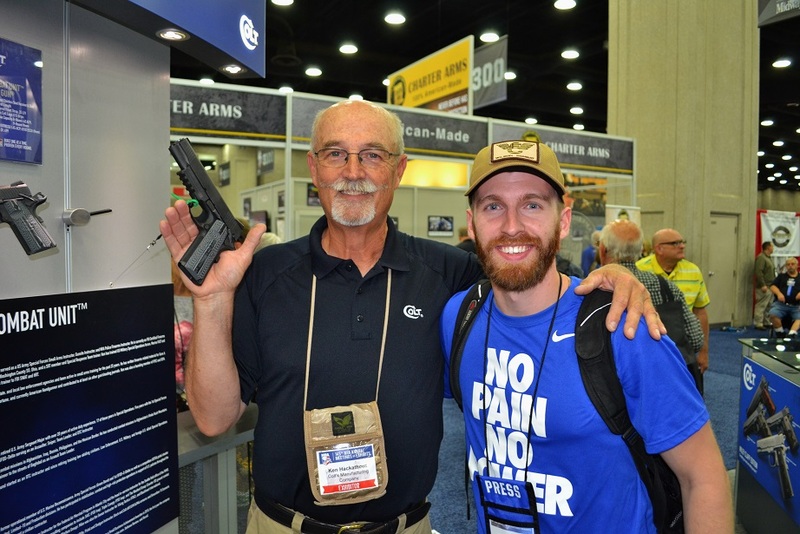 I’ve been to quite a few SHOT shows but until this year I had never been to an NRA annual meeting or to Louisville—which truly is the land of bourbon and honey. I’m not sure that Louisville was ready for the massive surge of people that hit the city’s streets this weekend (traffic was a total nightmare for many who drove around), but it was a lot of fun catching up with people I normally only see at SHOT in Vegas once a year and seeing the latest and greatest from all of my favorite companies. 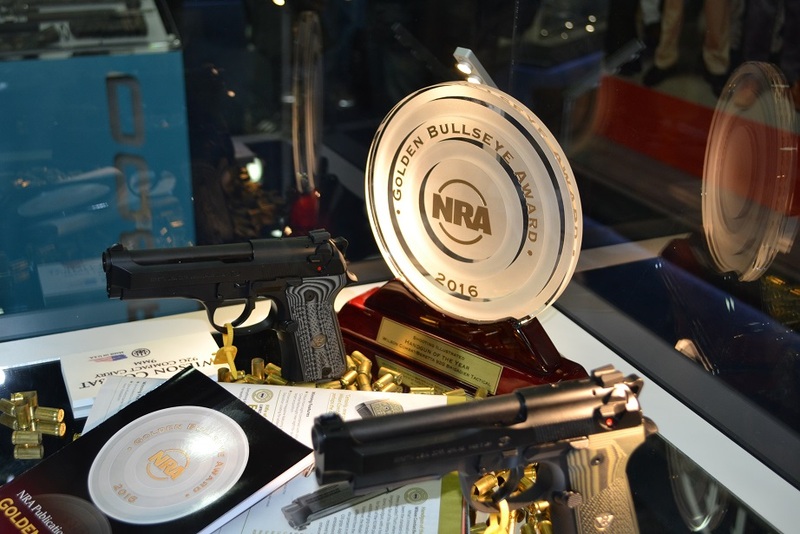 One of the most relevant things to note about this year’s show for a handgun website like HP was the presentation of the NRA Golden Bullseye award for the Shooting Illustrated Handgun of the Year to our friends over at Wilson Combat for their collaboration with Beretta USA on the 92G Brigadier Tactical—one of which is sitting in my nightstand as I type this article. It is a fantastic product and one that deserves the recognition it received. The increased slide mass is awesome for follow up shots and durability and the action is smooth as silk. And of course, the decocker-only setup is the most functional and desirable configuration available when it comes to the Beretta M9/92. Also from Wilson Combat, I finally got to put hands on the new Keymod TRIM rails and the AR-9 9mm carbines, both of which are absolute wins from an engineering standpoint and were beautifully machined. 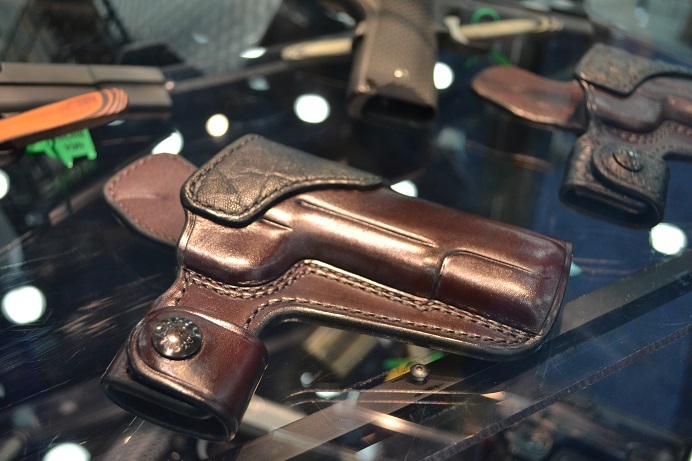 The Sig Sauer booth was a mad house as you might expect, but those of you who are fans of the Legion Series like me will be pleased to hear that the Legion P220 WILL be available in an SAO configuration in two different sizes late this year. For fans of the .45 who wanted a non-1911 alternative in the caliber without sacrificing a single action trigger pull, both a full size and a carry option are coming this October (ish). None of those guns were at the show but Sig promised they’re ready to go and just getting the final touches done for a smooth launch. 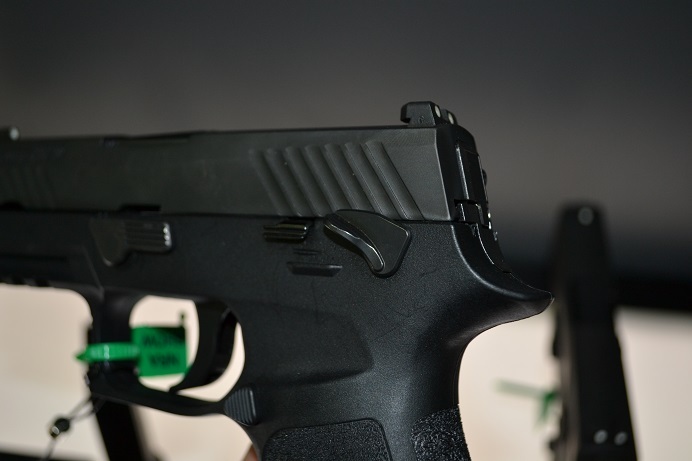 Sig has also released a P320 model with a thumb safety, though the safety is a bit small. 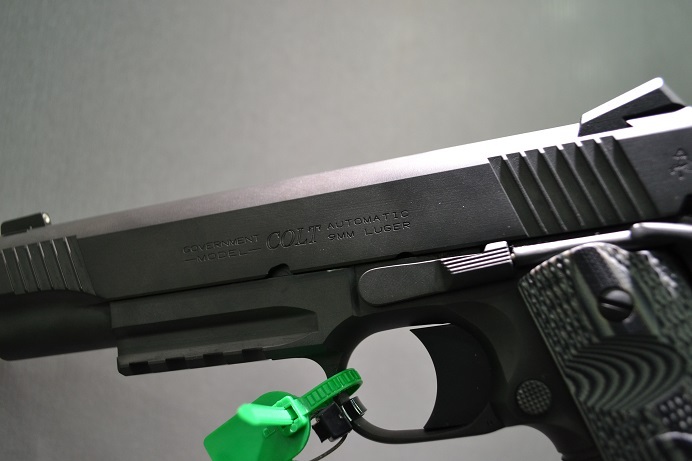 I liked it, but I am far more excited about a Legion P220 SAO! The crew over at Freedom Munitions released their newest product: Boar Buster, which promises to be an exciting addition to the stable for hog hunters and people who lose their crops to wild hogs every year. This load will lay a boar down, trust me. I saw pics in January at SHOT and they were impressive to say the least. 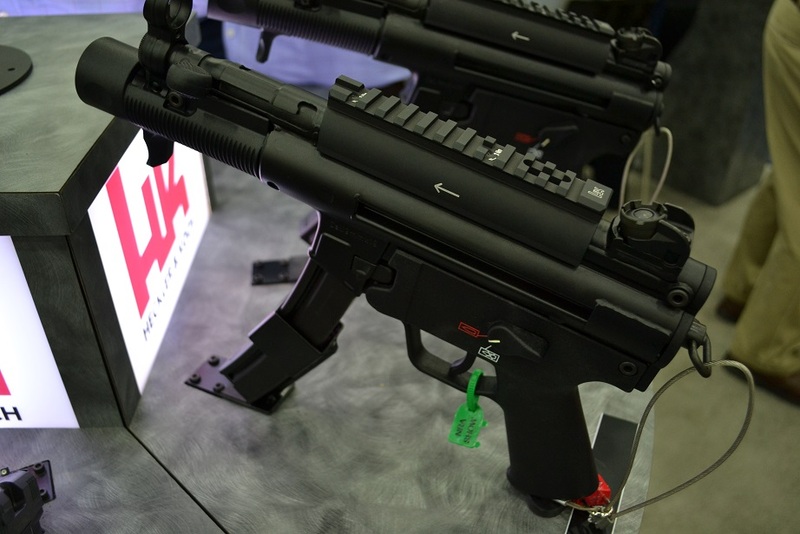 For the H&K fans out there, Heckler and Koch released the semi-auto variant of the MP5k, the SP5K. The gun was beautiful, but unfortunately with the retail coming in at more than $2,500 I can’t afford to add one to the stable right now. 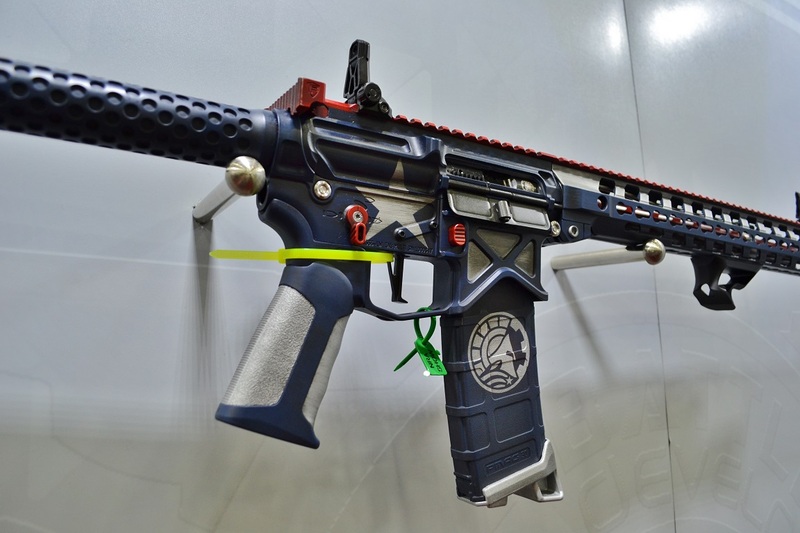 I think the MP5 is famous enough that they’ll sell quite a few of them, but that’s 9,000 rounds worth of .45 which translates to a WHOLE lot of gun reviews, so I personally have to take a rain check this time around. Looks like a great time and a lot of fine work there Colt!! Thanks, Barry! Hope Perry’s is having a great 2016!